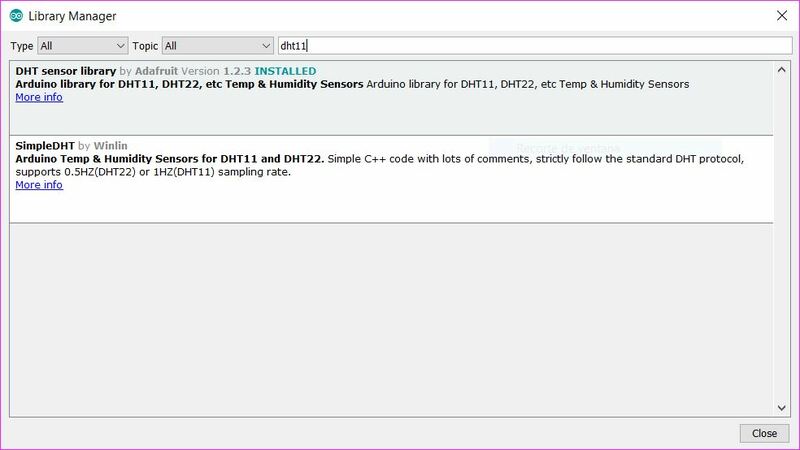 In this activity you'll read the ambient temperature and humidity with a DHT11 sensor brick. In order to use the sensor, you'll need a library. Libraries provide extra functionality for use in sketches, e.g. working with hardware or manipulating data. Don't worry, I'll show you how they work. 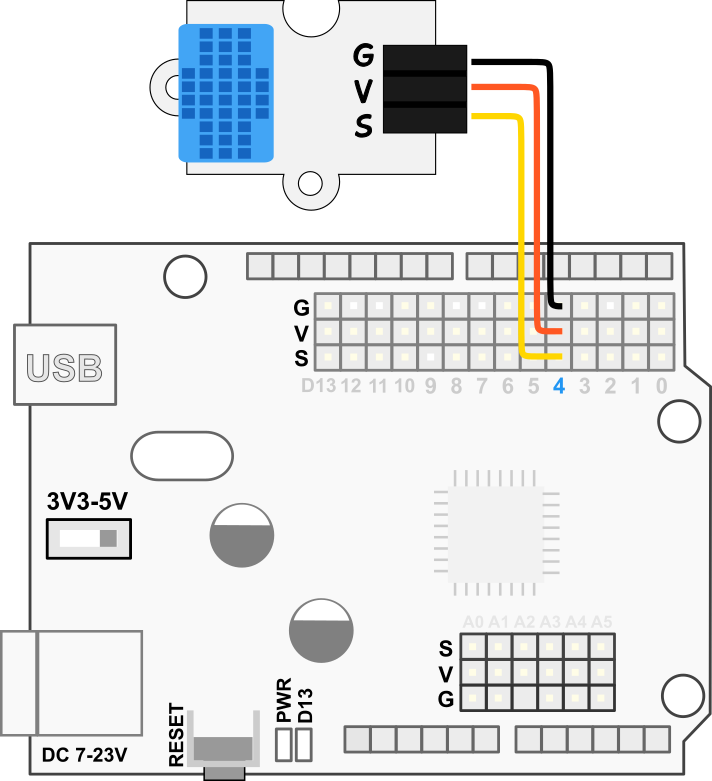 You'll also learn how the serial monitor works. If you succesfully downloaded and opened the code from previous step, you only need to add the correct library. Remember, without the library, the code will prompt an error and won't work. 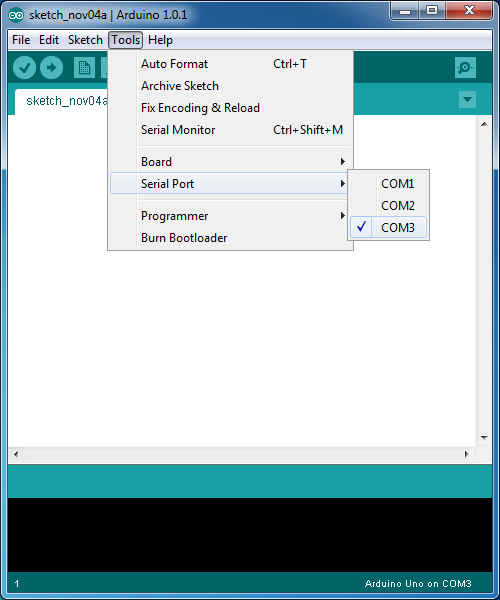 After uploading, everything should be working as planned, but, in order to be able to see the temperature and humidity, you'll need to click on the Serial monitor button at the right top of the Arduino IDE. Once opened, make sure 9600 is selected at the right bottom of the serial monitor window. Now, I propose a challenge, do you think you can change the code to show the temperature in Fahrenheit instead of Celsius?